Tubular breast cancer is a type of invasive ductal carcinoma. Screening mammography often detects tubular breast cancer as a small mass, irregular in shape with spiculated margins. The distinguishing feature is the visual appearance of the cells under a microscope. In this case, the cancer cells resemble tiny tubes that are well differentiated, meaning the cells are more like normal cells than poorly-defined ones. I just want to let you know that I have created a newer version of this page with more up-to-date material on Tubular Carcinoma of the breast. However, this page still has good information. Specialists think of “Tubularity” as a characteristic of breast tumor cells that are adjacent to an open lumen. I don’t understand that, but I can imagine that the cells simply prefer to move like a slender linear herd of cows. Tubular breast carcinoma is not necessarily a distinct type, but falls along a spectrum, or a certain ‘percentage’ of a tumor with tubular cells. Tubular sounds cool, and cows can be cool. In some studies, breast tumors with more than 70% tubular cells, and of low nuclear grade and mitotic activity, may almost be considered benign and are almost never associated with breast cancer death or even metastasis. Tubular breast cancer is a rare cancer that accounts for no more than 2% of all breast cancer diagnoses. This type of breast cancer occurs most frequently in women who are in their 50’s. Tubular breast carcinoma tends to be small, highly estrogen dependent and HER2/neu negative. These are good words to hear. Good for having a good treatable targetted medicine and excellent survival. Women with this type of breast cancer are less likely to metastasize and have an excellent survival rate. On Average, women with tubular breast carcinoma maintain a disease free status of near 100% over ten years and an overall survival of 70%. Treatment of tubular breast cancer with breast conserving surgery tends to provide excellent results. Women with tubular breast cancer tend to have a near-normal life expectancy. Because of this adjuvant therapies are often not necessary in the treatment and management of tubular breast cancer. How rare is tubular carcinoma? This type of cancer is extremely rare, accounting for about 2% of all breast cancers. 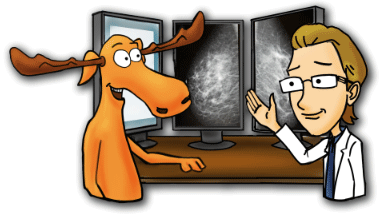 Who gets tubular breast carcinoma? Although it can occur at any age, tubular carcinoma is much more common in women over the age of 50. It can also occur in men but it is very, very rare. How is tubular carcinoma diagnosed? Core biopsy or a fine need aspiration. 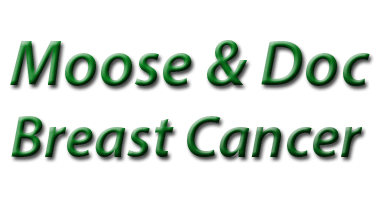 Routine breast cancer screening actually detects many tubular breast cancers. What are the treatment options for tubular breast carcinoma? Adjuvant treatments (radiotherapy, chemotherapy, hormone therapy or targeted therapy). What are the symptoms of tubular breast carcinoma? Like any other types of breast cancer, tubular carcinoma of the breast may not cause any symptoms at first. Over time, a lump may grow larger enough to be felt on breast self-exam or an exam by your doctor. How big is a tubular carcinoma? They are usually small, 1 cm or less in diameter, and feel firm or hard to the touch.